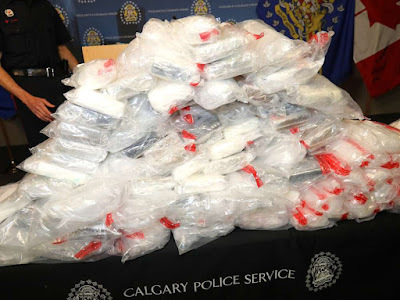 Calgary police made one of the largest drug seizures in their history. 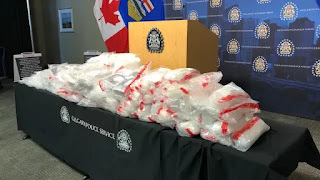 About 66kg of cocaine and 30kg of meth, with an estimated street value of $8m, plus approximately $41,000 in cash was seized on Oct. 4. CPS say they pulled over a Dodge Caravan following a three-month investigation and found the drugs. Navjot Singh, 23, and Gurjeet Ghotra, 20, each face two charges of possession for the purpose of trafficking.